In the case of excessive chewing in dogs, the most important part of the solution is to find out what is causing this behavior. We already mentioned the most common ones in our article about stopping a dog from chewing on door frames, but those are not close to being all of them. Excessive chewing, especially chewing on a door frame or objects near an exit, is commonly caused by a dog trying to escape confinement. It is often related to fear or anxiety, but in some cases a dog may just not enjoy confinement. ​This is among the most common causes for dogs chewing on door frames, and it usually happens pretty severely, leaving bloody stains on door frames. Sound familiar? Your dog is afraid to be left alone and tries to escape confinement. We won’t talk about separation anxiety in much detail here, but for now, it is good to understand that your dog is not chewing excessively because he is mad at you. He is doing so because he is afraid to be without you. ​Do you notice your dog’s inappropriate behavior is present during fireworks, thunderstorms, or other frightening times? In such cases, your dog is chewing on objects for two main reasons: one is that he is trying to escape the location, and the second is that the repetitive action of chewing helps to occupy his thoughts and relieve anxiety. Staying close to your dog during these events is the most effective solution. These are crucial activities. Remember that dogs are very active animals by nature. If your dog has enough possibilities to expend his energy, he will be less likely to use it on chewing things and exhibiting other behavior problems. Boredom is usually linked to a lack of activities because activities dissipate boredom, while inactivity winds your dog up like a loaded spring, which urges him to chew on items. There are two approaches to solving this: ensuring that your dog has enough activities to keep him busy during the day and leaving toys to enjoy when you are away. Look here for a list of some interesting activities to do with your dog. Similarly, like human babies examine things with their mouth, dogs also learn about their environment through chewing and tasting objects. It’s a normal behavior for puppies and young dogs, but if it is reinforced, it may continue into adulthood. Provide your dog with an adequate amount of toys to chew. In addition, put undesired items out of your puppy’s reach and never reward, praise, punish, or scold your dog for chewing. Remove the item silently instead. This is only possible if you have a puppy and is common up to the age of six months. As your puppy’s teeth grow in, it creates an itch and discomfort that is relieved by chewing on things. In this case, you should provide many toys and items that are appropriate for chewing. 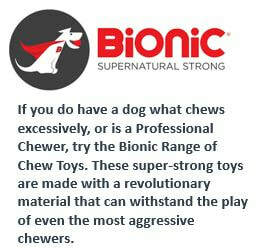 This is commonly a complementary cause, but many dogs find chewing interesting or enjoyable. 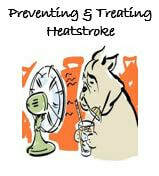 It may also be beneficial to your dog in some other way. Is your dog getting what he wants because of his activity? For example, do you play with your dog or feed him to stop this behavior? Voila, your dog knows what to do to get your attention. Not to mention, if your dog manages to destroy the door and escape, he is also getting what he wants. Yelling at your dog can also encourage more chewing. Why? Because, if your dog is seeking attention, yelling can provide it. ​Do not underestimate that the cause of excessive chewing in dogs may be a medical thing, too. Most commonly, it happens when a disease is causing discomfort, pain, or stress in your dog, which is relieved by chewing. Other health disorder signs may also be present such as increased urination, increased appetite, weight loss, vomiting, diarrhea, and activity changes. If you notice these, visit a veterinarian. Compulsive disorders that are of neurological origin also shouldn’t be ignored.You should also know that excessive chewing in dogs is often initiated by more than one cause. For example, separation anxiety may become severely exaggerated if the dog did not have enough exercise or if the owner provides attention to the dog only after something is destroyed. If you are not able to find out what is causing your dog’s chewing, seek the help of a professional dog trainer. If two dogs are wrestling and it seems too rough to you, with all that growling and snarling, body-slamming, and biting of each other’s necks, should you intervene? Can you tell the difference between playing and fighting? As with all situations, prevention is better than cure, especially with a condition like Heat Stroke which can happen quickly and be fatal. Make sure you know the early signs and take action.